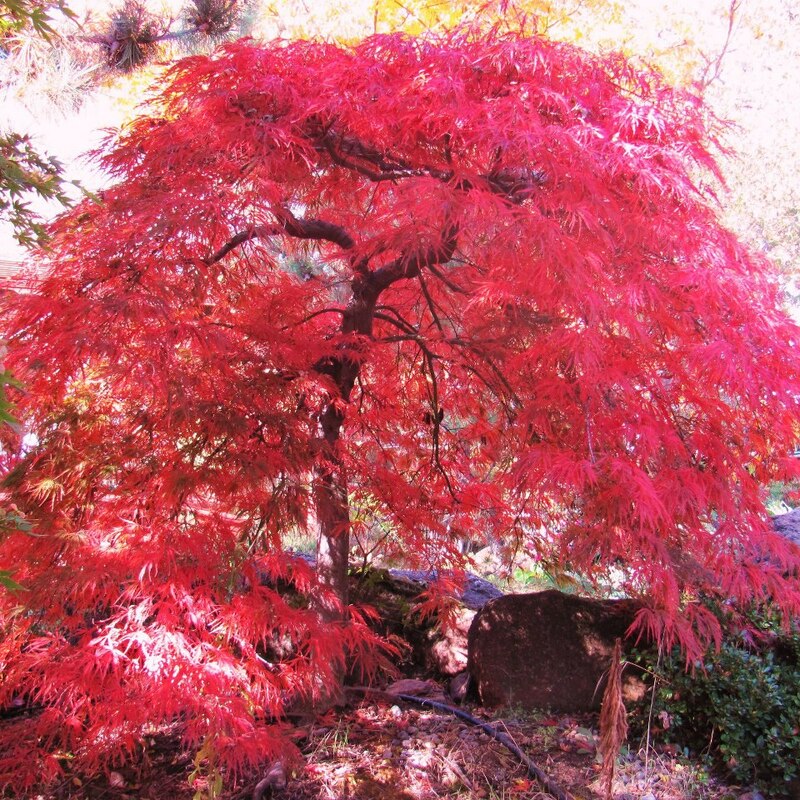 Orangeola Japanese Maple 2-3' tree. Hardy zones 5-8, 3-4' tall, 5' wide mature. 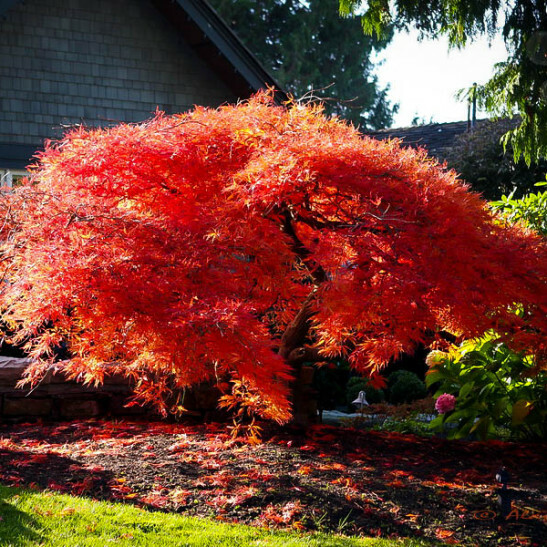 Beautiful weeping cutleaf Japanese maple, is multicolored in growing season with shades of red, orange and green, turns bright orange in fall. This small variety is great in containers, though must be moved in a garage for winter storage when potted in northern climates. Full sun to part shade with some wind protection is best, in fertile, moist, well draining sites.